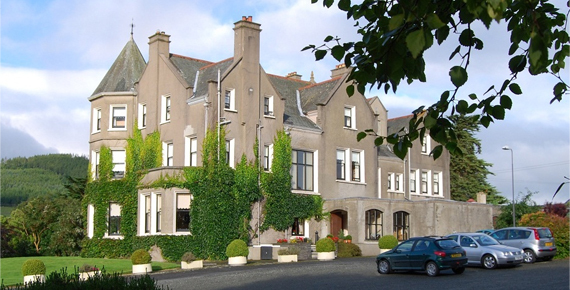 This country house hotel is located in the foothills of the Mourne Mountains overlooking the seaside town of Newcastle. Suited to smaller groups this intimate venue is ideal for corporates that want to be exclusive and not be surrounded by other conferencing and wedding groups reminiscent of larger hotels. 10 acres of stunning gardens with a Mourne Mountain backdrop are ideal for team building activities, and the local Tollymore Forest Park is beside the hotel. Sea Safari boat trips along Newcastle coastline are also available from hotel.